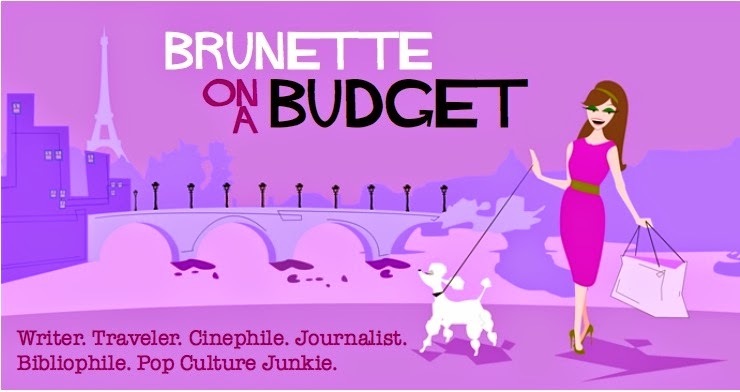 Brunette on a Budget: Book review: "How To Be An American Housewife"
When I was first asked to review How To Be An American Housewife, I was immediately intrigued by the title. I knew it was fiction and not some how-to guide (because really, that would be kind of awkward if they'd actually made a how-to book for acclimating to American domesticity), but the title piqued my interest, especially when juxtaposed against the photo of the Japanese woman set behind it. It turns out the title was based on a book by the same name that actually did exist back in the 1940s when Japanese women were marrying American GIs in droves during WWII. 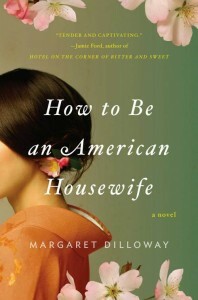 The n ovel's author, Margaret Dilloway, noticed an old copy her Japanese mother owned, given by her GI husband (and later Dilloway's father) in an effort to help her acclimate when he first brought her to America. It was this book, which later turned out to be a manual of sorts for Japanese maids and therefore was never read, that was the inspiration behind Dilloway's debut novel of the same name. How To Be An American Housewife is not only a book about mother/daughter relationships, it's commentary on cultural assimilation. Of yearning to fit into a new culture and land while missing family and letting go of traditions left behind on native soil. The first half of the novel is narrated by Shoko, a Japanese woman determined to come to America. She marries an American GI she falls in love with much later in life, but her struggles going from Japan to setting up a home near a military base in San Diego, California, are at the same time both humbling and heartbreaking. Dilloway cleverly crafts Shoko's narrative so that everything Shoko thinks is written in perfect English, while everything she communicates to her husband, children's teachers, or fellow parents comes out clunky, broken and distorted (since English is her second language). Through Shoko readers have a window into what it's like as a foreigner in America, of the language barriers and sometimes physical traits that shouldn't but often cast one as "an outsider." The story continues through Shoko's narrative, gliding along memories she has of experiences in both Japan and America and the transition between, when about half-way through the narrative baton is passed to her American-born daughter, Sue. Sue is a single mother and working professional with one divorce under her belt. She hates her job, has no love life and feels misunderstood by everyone, including her parents (and especially Shoko). Even though she's in her 30s, Sue still feels like she has no identity since she was raised in a multi-cultural household and loathes the fact that she could never fully fit in growing up; Shoko with her broken English seemed always an embarrassment for Sue at school functions or when she wanted to invite friends over. Even at 30-something, Sue's still not sure where she belongs and because of this has remained quiet, withdrawn and passive -- a wallflower, through and through. It's only when Shoko asks Sue to travel back to Japan for her to mend a decades-old family argument that Sue (with her daughter in tow) comes into her own as a woman and begins to see the beauty of growing up multi-culturally. The acceptance of her upbringing and heritage (which were both solid but much different than her peers) starts to quickly transform Sue into a new woman, and brings about a level of understanding for her mother and mother's life before America that is fascinating to read. I recommend this book to anyone who's ever felt like their mothers (or daughters) misunderstand them, or to anyone who's questioned their roots and what it means to be a part of a certain ethnic group. Dilloway's excels at showing the uncomfortable situations Shoko finds herself in once she arrives in America, the loneliness Shoko experiences as she lets go of her past to build her future, and the wallflower Sue who eventually blooms by reconnecting with her origins as a favor to her ailing mother. For a debut novel, I was thoroughly impressed. Thanks for reading and for the review! I'm intrigued. It sounds like a good selection for my lunchtime book club, Food for Thought. Thanks for the recommendation. Who did you do the review for? I loved this book so much and am so glad to see that you enjoyed it too! Thank you so much for being on the tour! Great review! I think I'd like this book because I know what it's like to live in a different culture.